This old stone barn continues the tradition of 900 years when Llanthony Priory next door provided shelter and accommodation. 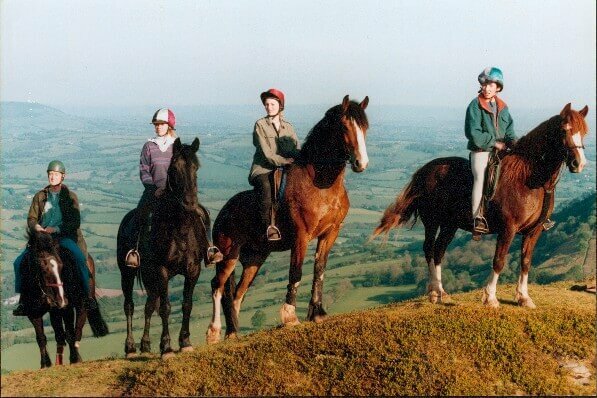 Surrounded by the Black Mountains in the Brecon Beacons National Park, this spectacular setting is a superb base for walking, riding, pony trekking and other mountain activities. Sixteen bunks are split into three separate areas for sleeping. There is a fully equipped kitchen, hot water for showers, heating throughout and a wood burning stove in the eating area. Small or large groups are welcome, but there is a minimum charge. Two pubs offer real ale and bar food. Just 50 minutes from the M4 Severn Bridge and one hour from the M5/M50 junction, this must be one of the easiest bunkbarns to reach from the motorways - and yet you feel you are miles from anywhere. This accommodation is featured on our map of South Wales and Pembrokeshire and here is its own website. 16: 1 x 8; 1 x 4; 1 x 6. All year. All day. No restrictions. GR SO 288 278 Map on website: Turn west off A465 Abergavenny/Hereford road at Llanvihangel Crucorney (5 miles' north of Abergavenny). Llanthony is 6 miles along country lane - follow signs to Priory. On cycle route 42. Abergavenny railway station 12 miles. This accommodation allows dogs by arrangement, is near mountains, is in a National Park, is available only to groups, has a pub within walking distance and is on the Brecon Beacons National Park, the Offa's Dyke path and the Beacons Way. Music , History , Art and lots of things to do ! Relax at the end of your exiting day at the Wain House and enjoy the calm of the rural area ! 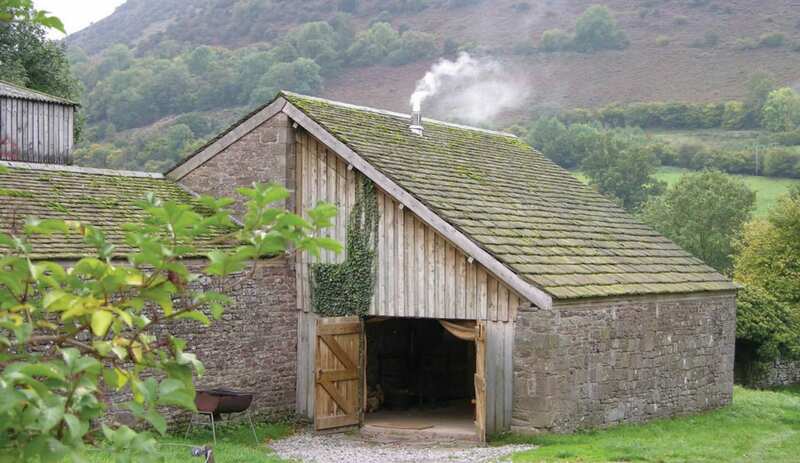 An old stone barn called the Wain House, next to Llanthony Priory, continues the Priory’s 900 year old tradition of providing shelter and accommodation for the traveller. Surrounded by the Black Mountains in the Brecon Beacons National Park, the Wain House provides a base for walking, riding, pony trekking, and mountain activities. 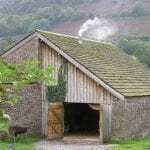 Llanthony Valley has superb walking and Offa’s Dyke path is 1km away right above the Valley. Hay Bluff has stunning views and you can walk along the spine of the Cat’s Back or meander through the little waterfalls to the crest of Lord Hereford’s Knob. 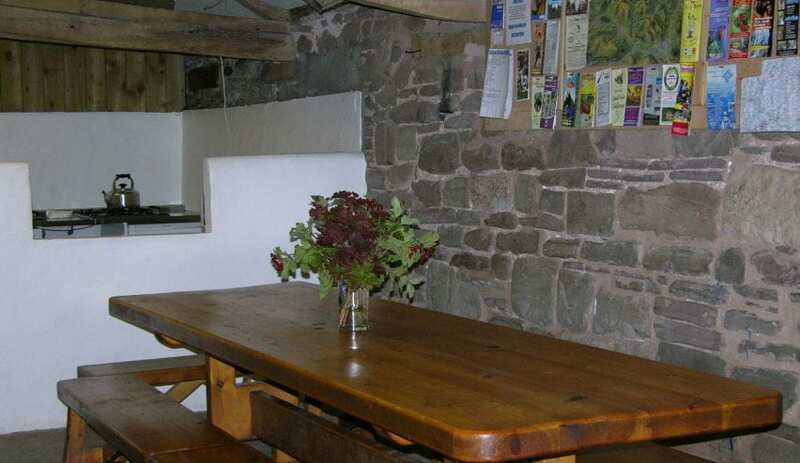 The Wain House sleeps up to 16 people and is available for group hire. 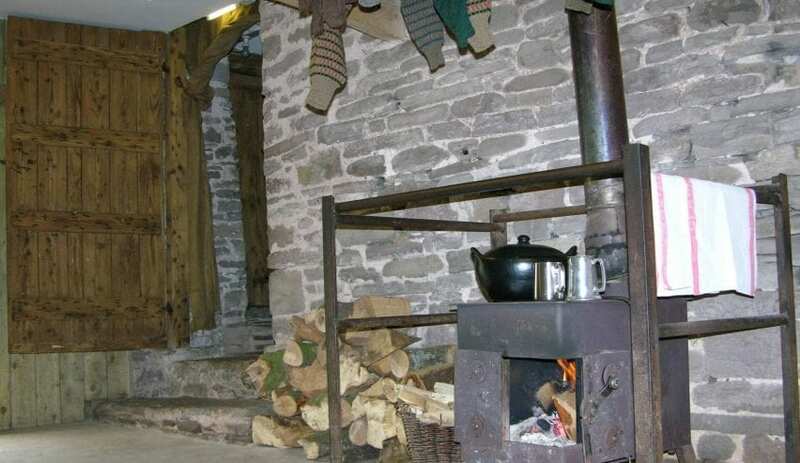 It is located right on the path of the Beacons Way ideal for a first night when walking from East to West.